We had friends over our new house today to help with moving furniture. Afterward we all sat around chatting and the subject rounded to Winnie the Pooh when my daughter brought one of the books to me. One of our friends asked, “Why would anyone name a bear Pooh?” I replied that I knew that that was actually a nickname and that his real name was something else. Off I went to browse through some of the older Winnie the Pooh books I’ve found for our daughter. I found the answer in a 1926 copy of three stories. Winnie the Pooh’s real name is Edward Bear. After looking around the internet for an explanation I found that A. A. Milne (the author) found the inspiration for the books from his son (Christopher Robin Milne) who had a collection of stuffed animals. One of his bears was named Edward Bear. His son also loved a bear at the zoo, which was named Winnie. When the bear at the zoo died, his son decided to rename his stuffed bear, Edward Bear, Winnie. 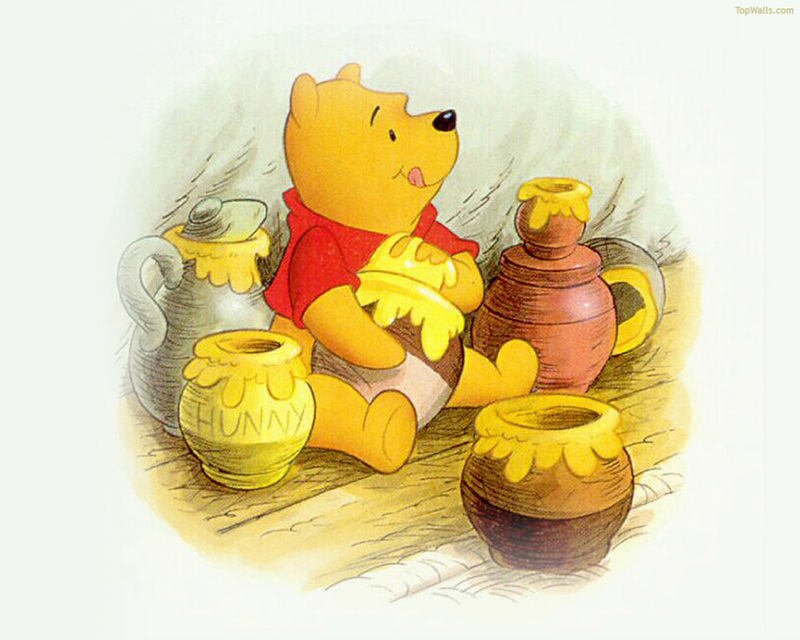 This entry was posted in Uncategorized and tagged a.a. milne, edward bear, literature, pooh, what is winnie the poohs real name?, winnie the pooh. Bookmark the permalink.